Baum & Woolger Homes is a custom infill home builder in the Edmonton and surrounding area. With over 50 combined years experience in the residential market, we can help you find the exact location for the home of your dreams. 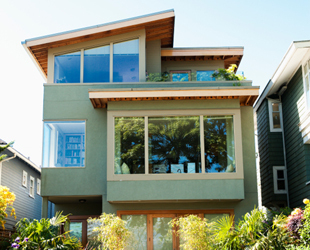 What is a Residential Infill Home? Infill homes are the rededication of land to new construction. Simply put, we tear down an old home and build a new one, typically in the most beautiful and mature neighborhoods of the city. There are many neighborhoods within the city of Edmonton that have big lots, beautiful trees, and are quite affordable to rebuild a brand new home! We have built in the areas of Bonnie Doon, Strathcona, Westmount, and many more. We work in all areas of the greater Edmonton area to match people with the home and location they’ve always wanted. Want to be downtown? Close to work? Family? Or on an acreage? We will find the lot that fits you. 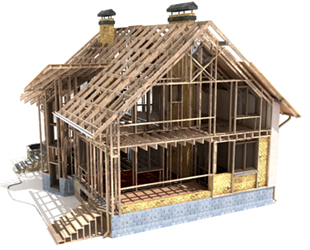 Check out our infill blueprints specifically designed for any kind of infill lot. If it’s a house you want and need to find a lot, or a lot that needs to fit a house, we have you covered. Tell us the details of your situation and we can find a match. We already have pre-designed blueprints for every kind of infill lot. Or, let us work together to design a blueprint for you. Our blueprints and interior designers are free if you build a home with us. Get the brand new suburban dream home you want, in the heart of Edmonton’s core. Surround yourself with 100 year old mature trees, ravines and a beautiful backyard. Choose one of our layouts or design your own infill project in the city’s most beautiful mature neighbourhoods. Get in touch with us to locate the perfect piece of land that has the proper zoning for a front attached garage. Edmonton’s mature neighborhoods have great infill opportunities for large or small bungalows. 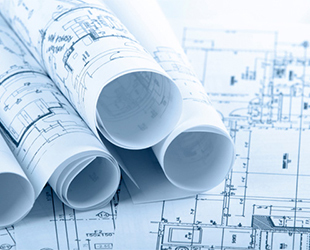 Optimize your layout with our great pre-designed blueprints, or create your own to build what you desire most. Large yard? Patio? Covered deck? Underground parking? Barrier-free home? Edmonton’s growing infill market is increasing density, land value and cost of building. Garage suites and garden suites are a great and affordable way to have extra living space, storage space, rental income, in-law suite, or extra guest rooms. Recently the city has passed by-laws that will allow these types of suites to become more prevalent. Feel free to contact us if you have any questions. Did you like certain parts of one blueprint and certain parts of another? Feel free to combine our layouts into one perfect home for you. We have an in-house designer who can design custom homes any way you want them. Get the square footage you want in the most desired locations. Infill lots that are 33’ wide or bigger are available all over the city that are affordable and more than capable of suiting your needs. These two storey homes have huge potential for rental income or sale. Lots this size can accommodate legal basement suites, lofts, garage suites and garden suites. Edmonton’s duplex and semi-detached market is growing fast. This is because there is tons of potential here to get anything you want for affordable prices. Whether you are looking to improve your location, downsize your home while staying in something beautiful, or maximize your rental income. These units can satisfy almost anyone. Side by side (Semi-detached) homes can fit on lots as small as 46’ wide, while front/back (duplexes) can fit on a basic 33’ lot. Some of the most beautiful new homes in Edmonton are Semi’s or Duplexes. Now are we starting to see potential? The city’s new regulations regarding skinny homes have recently been updated, allowing 50 foot lots to be approved for subdivision, into 2 – 25 foot lots. This is a great alternative to receive all the benefits of duplexes and semi’s for their affordability and rental value, as well as the two storey homes who have their separation, all the while, taking full advantage of the mature neighborhood benefits. Check out some of our beautiful designs. Looking to subdivide your lot? Or maybe are wondering about how you’re going to finance your project? Baum & Woolger offers lot subdivision services as well as financing through our partner lenders. Contact us today for more information! We offer full financing and have some of the best consultants! It’s as easy as a phone call to get the ball rolling. Baum & Woolger Homes Ltd.